ONE of Malaga’s most popular dishes in under threat. 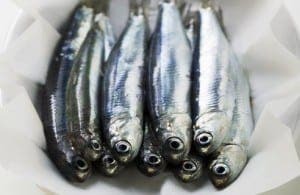 The Andalucian anchovy, or boqueron, is in desperate need of protection as overfishing threatens the species. Over 70% of officially-licensed boqueron fishing boats dock in Malaga, leading to a depletion of the species in the region, according to the ministry of agriculture, fisheries and environment. Calls to introduce a ‘boqueron season’ similar to the tuna fishing restrictions are now growing. Currently the fish are caught all year round with no limit on the number of fish that can be netted.